The challenge aims to raise awareness and money for Kidney Research UK. Gary’s five day challenge, #challenge271, will take place during 26th – 30th May 2015, but Gary launched the project in school on the 3rd December 2014: a year after the loss of his father, Colin Froy, Police Constable 271, Hertfordshire Police. Since the launch, Year 8 students have been holding mini fund raising projects within the school to help Gary on his way. The latest ‘Sponge the Staff!’ event took place on Friday 13th February 2015 in the lower school playground and raised a total of £145 which will go towards Challenge 271. 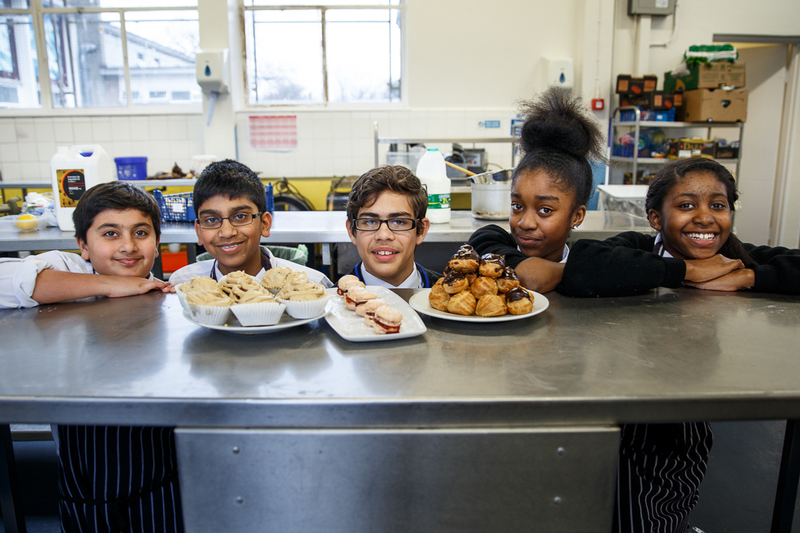 Five Year 9 students were selected for a one-off workshop to learn how to make tasty treats for a traditional afternoon tea. The students spent the day in the school’s professional kitchen learning how to make macrons, scones, fairy cakes and profiteroles. Guided by chef, Dean Bolton, they learnt how to make choux pastry; picked up tips on presentation; and invented the new filling, peanut butter cream, for their profiteroles. 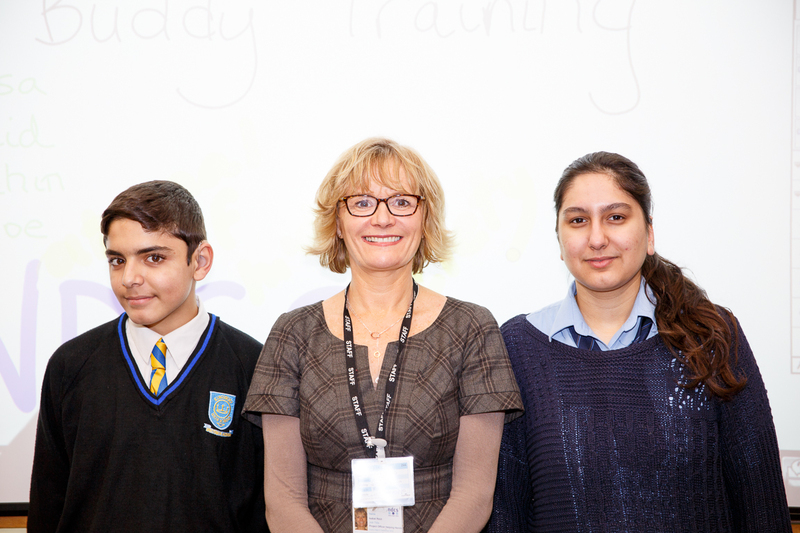 Isabel Reid, Project Officer, from the National Deaf Children’s Society has been visiting Kingsbury High School to deliver a project called Helping Hands. The initiative, funded by the National Lottery through the Big Lottery Fund, enables schools to set up a peer support scheme by training students to become ‘Peer Buddies’ to help and support other students. Peer Buddies can help new students settle in at school; listen to student’s experiences; and offer support on practical things such as managing schoolwork. The aim of the project is to create a supportive environment where young people can tackle issues in a positive and productive way. 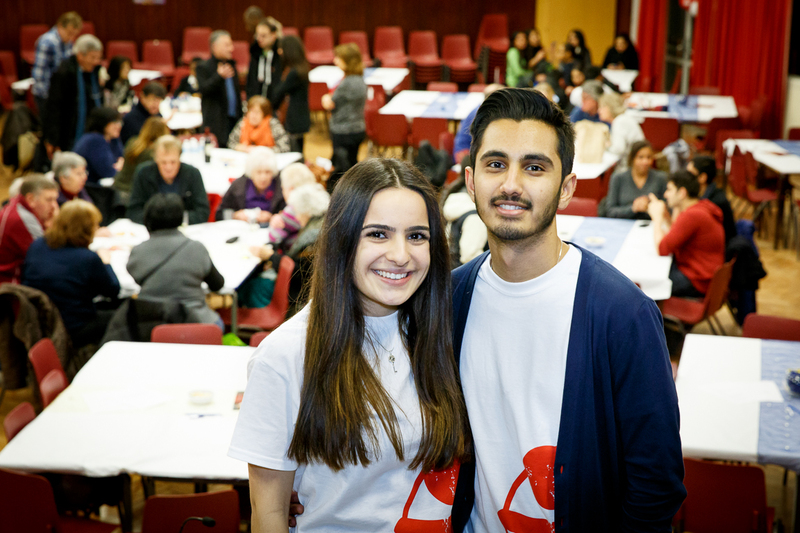 On Friday 30th January 2015, Kingsbury High School held a quiz night to raise money for the Save the Children Ebola Appeal. Members of staff, students, parents, governors and the local community were invited to enjoy the event which, along with the quiz, also included music performances by Sixth Form students and a raffle prize draw. Supporting the evening with generous donations of vouchers, food and prizes were local businesses Nandos, Wiseman & Ashley Opticians, JJ Moon’s, Boots, Saracens, Wembley Stadium, Snap Fitness, Asda, Sainsbury’s, Pizza Hut, and Marks & Spencer. 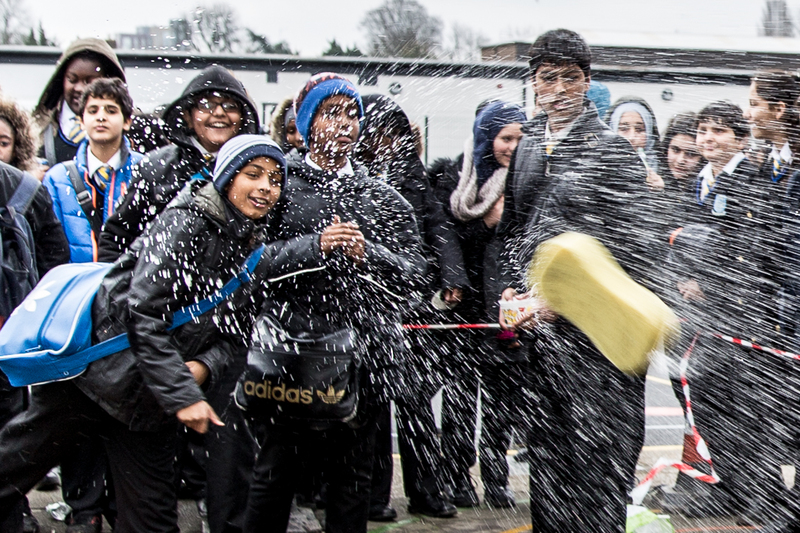 The event, organised by Head of Student Development, Ms Sarah Purtill and Sixth Form students, Zoe Yerolemou and Naren Kondhia, was a huge success and the school raised an impressive £1,850 for the Save the Children Ebola Appeal. Zoe in Year 13 said “We chose Save the Children as our charity because one of the most heart-breaking facts about Ebola is that those who have it are unable to be comforted by their loved ones and no child deserves this fate. Major roof works on Kingsbury High School’s lower school buildings, Bacon Lane, have been completed. 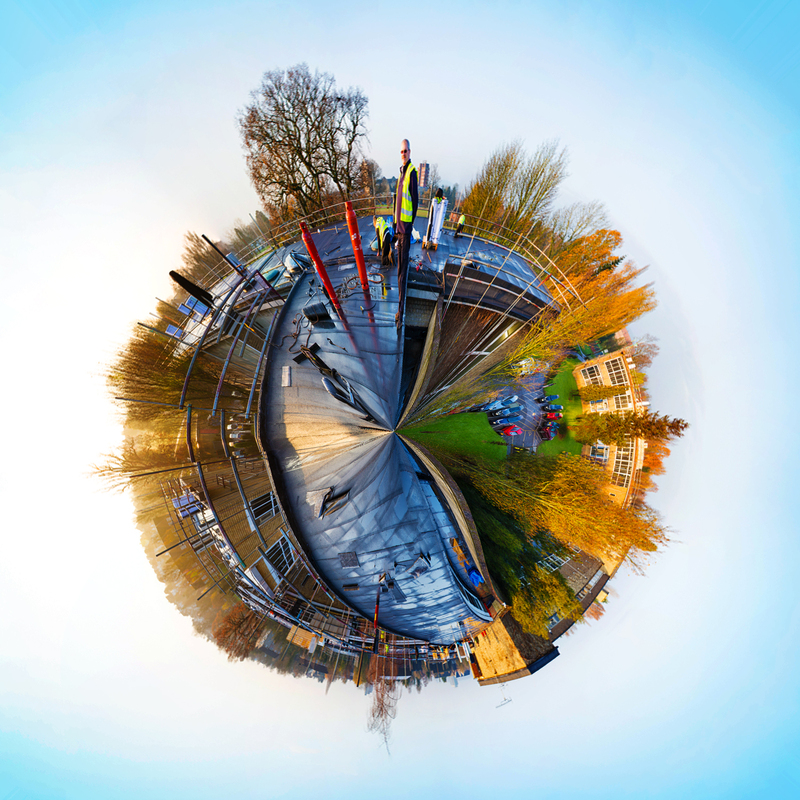 The buildings will now retain more heat and reduce the school’s carbon footprint. Site Manager for Breyer Group PLC Ltd, Les Evers, said “This was such an interesting job and I am pleased to say that the roof has been laid to a very high standard. All parties are extremely satisfied with the work. The project has been put forward for the National Federation of Roofing Contractors Ltd (NFRC) Roofing Awards. 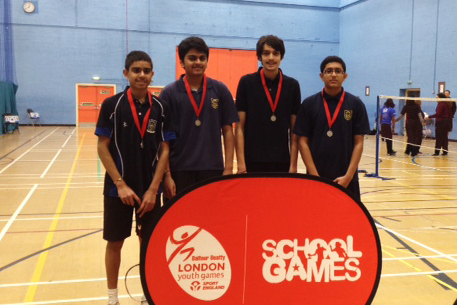 On Friday 6th February 2015, four Year 11, Kingsbury High School, badminton players, Jamie Vekaria, Shaan Patel, Saptarshi Bhatt and Nakul Hirani Capt, progressed into the West London Badminton Area Festival at Harrow Leisure Centre. This progression came shortly after they beat all the Brent Schools in the 2nd Stage of the Sainsbury’s School Games Scheme, allowing them to compete against the best schools in West London in the 3rd stage. Kingsbury High School played singles and doubles matches. They won all of their games against Haydon School and Jewish Community Secondary School. Kingsbury managed to pull off another win, by beating their opposition, Chelsea Academy, 4 games to 1 game. Three consecutive wins meant that Kingsbury proceeded to the West London Badminton Area Final against Isleworth & Syon School, a very well known school/sports college in this set up, winning this festival numerous times. Kingsbury did not get to the best of starts. Unfortunately, they were not able to revive themselves and lost 4-1, settling for 2nd place and receiving a well-earned silver medal. A special thanks to Mrs Woodrow, Mr Ali, Mr Gibson and the rest of the PE department, who entered Kingsbury High School into the School Games Scheme.